India is likely to experience a “near normal’ southwest monsoon in 2019 during which the country would receive 96% of its average monsoon rainfall. Overall the country is expected to have well distributed rainfall scenario during the 2019 monsoon season, which will be beneficial to farmers during the khariff (summer cropping) season,” said K J Ramesh, IMD director general. Typically the monsoon reaches the Malabar coast anytime between the last week of May to the first 10 days of June. Last year, the onset happened on May 29. 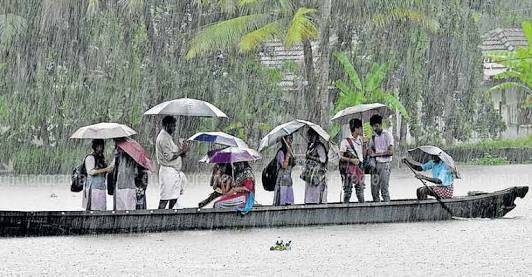 Monsoon rains, the lifeblood for India’s farm-dependent $2.6 trillion economy, arrive on the southern tip of Kerala state around June 1 and retreat from the desert state of Rajasthan by September.The south-west monsoon delivers nearly 70% of India’s annual rainfall.